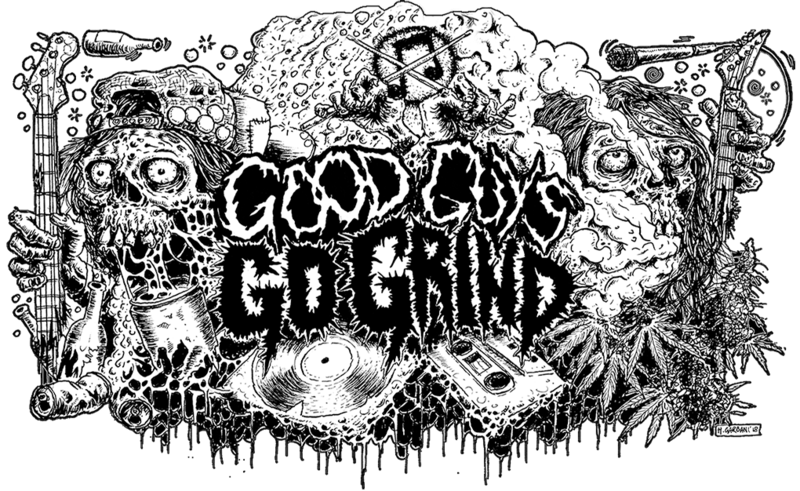 Good Guys Go Grind is an Underground Extreme Music Magazine. Our main focus is Grindcore, but we also review loads of other related genres as well. We started more than 5 years ago, and over the years we have worked non-stop to promote various events in the underground as well as bands and labels. On our website and social media pages you will find different interviews, a ton of reviews, and information about new releases. Every day we are looking for and posting news just for you! Please note, that we only review physical promos (vinyls, tapes, CDs), this is the only rule. Also we are not responsible for lost parcels. So if you need/want a review just send us a message!